Only four books have made my cry but only one matters now. History is All You Left Me tore me into pieces that I don’t know will ever come back together. What does it feel like to break up with the person you love the most because you love them? What happens when they fall in love with someone else? And while they still love you? What happens when they die in a freak accident? And what about now-- Jackson is the only person that understands Theo absence? All of these questions are answered for Griffin after Theo. 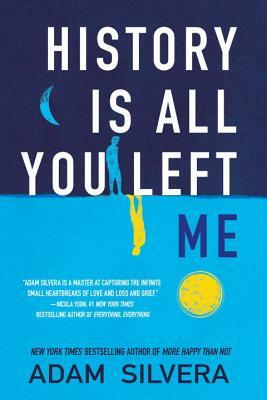 History is all You Left Me will literally have you U-G-L-Y crying in one chapter and laughing out loud in the next in its incredibly touching story every single person can find heart in.